Hi guys, How many of you know about Yo-Whats App? Yes, I know many of us are already using it. 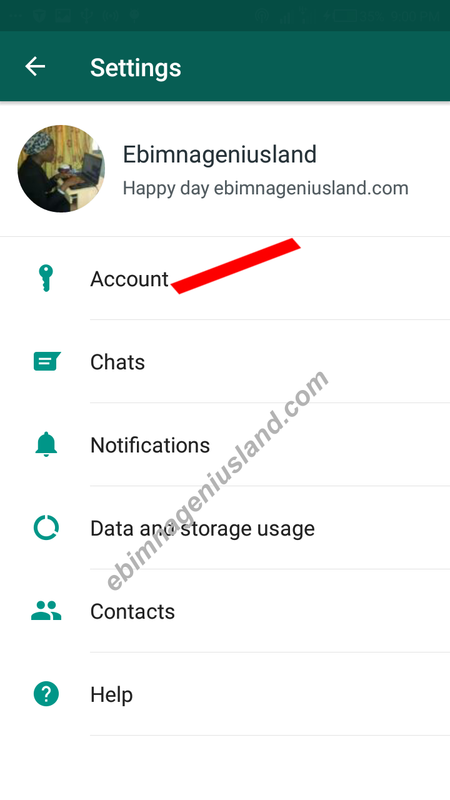 Well, Yo-Whats App has so many features that we don't even know they exist and today am going to open your eyes today on how to hide your last seen from the eyes of your contacts, especially when you don't want them to know when the last you came online and the last time you left. It's very sweet when those that use to see your last seen, are no longer seeing it again. Wow! 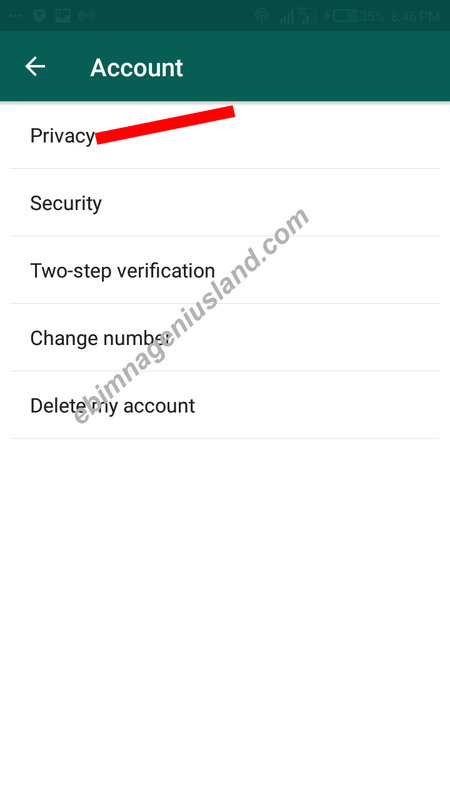 They will think that you no longer have their time, but the truth is, it will help you to be protected from some people monitoring the last time you came online. More especially those who always complain you don't chat them when you came last online. Now with this tricks, they won't have to bother you again. Trust Me! All you need to do is to follow these steps gradually and tell me why you won't get the steps. of course, I know you are intelligent and fast in learning. 1. 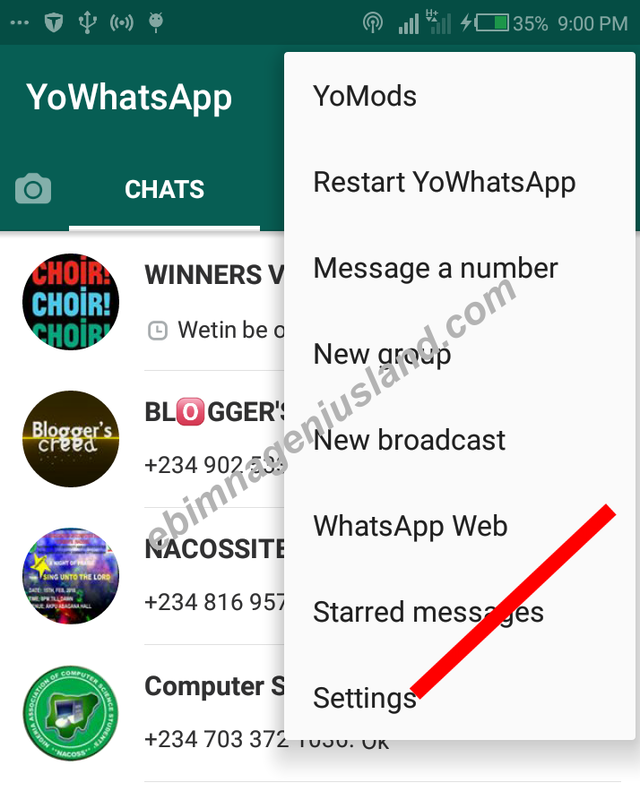 Open your Yo-WhatsApp App and select the menu button for a pull-down list to appear, and then go to settings. 3. Click on Privacy also for another box to appear. 4. 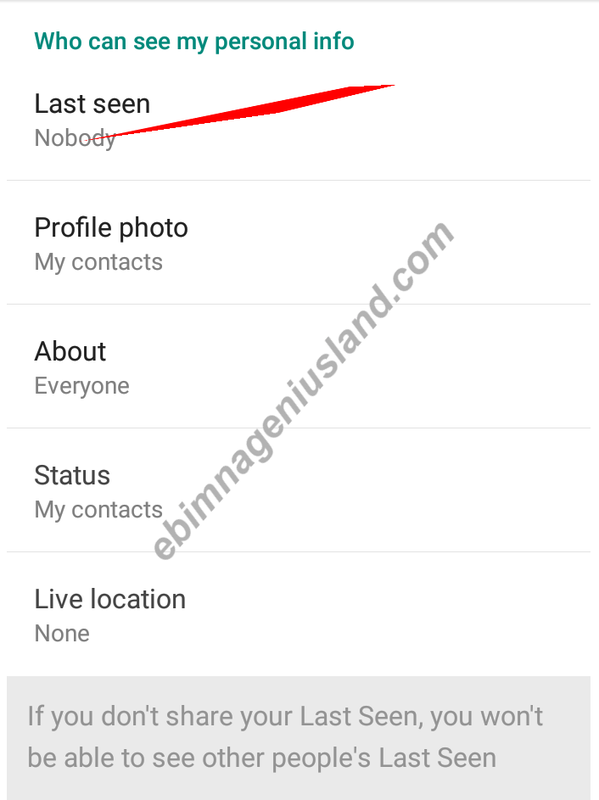 Select Last Seen, for a pull-down list to appear and then choose who the categories of people want to see when you appeared or visited your WhatsApp last. A. When you choose everyone, it means you want both the numbers saved on your contacts and the unsaved to see your last visited time. B. When you choose contacts, It simply describes only the saved contacts on your phone will see your last seen. C. When you choose Nobody, Wow! 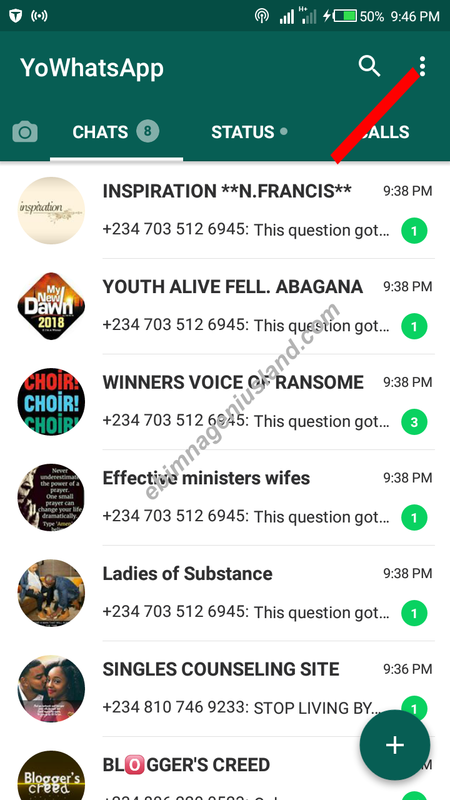 It testifies that no one should know when you last visited WhatsApp, both saved and unsaved contacts. Bravo! ou did it. I know you can. VERY IMPORTANT: If you don't share your last seen, you won't see others last seen, please take note of it. Ok Sanny Am glad you have finally learn't how to do it via this post. Enjoy it.